Scapegoating is happening to sea lions, to cormorants and to barred owls. Most people understand so little about the workings of nature that they forget they (all 7.3 billion of them) are a part of it. I care about the fate of all individual animals, and don’t want to see any species extinctified. But this new policy of species favoritism has to go. I hate to break it to people, but we’re all endangered in today’s world of rapid climate change. Text and Wildlife Photography ©Jim Robertson, 2015. All Rights Reserved. For more images, visit Animals in the Wild. 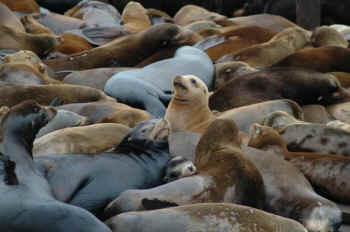 Scapegoating is happening to sea lions [Speak Out for Sea Lions... Being Killed for Eating Fish], to cormorants and to barred owls. Most people understand so little about the workings of nature that they forget they (all 7.3 billion of them) are a part of it. It seems, unless they want to eat it, the only species they care about these days are the ones considered endangered. Some people resent coyotes because they survive and even thrive where wolves sometimes didn’t. Sea lions are one of the most lovable creatures (and were nearly killed off once themselves during the fur trade), but it’s beyond appalling how many people hate them for eating fish, whether endangered or not. Whichever species makes it through the next century should be allowed to do so. 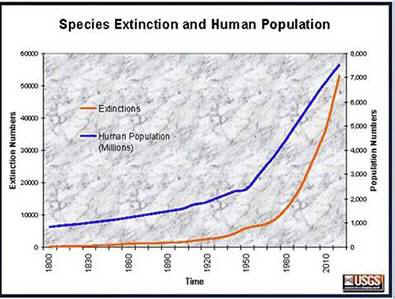 Now is really not the time for humans to think they can manage other species’ populations. They’ve done a pretty crappy job up of it so far. If anything, humans should be concentrating on their own kind.